Find My Workspace lists over 95% of the business centres market in Liverpool. Simply click Request Quote to check pricing for one office, or Add to Basket for multiple offices. Situated at the Liverpool Film Studios, this centre offers a high standard of office accommodation with extremely flexible terms at an affordable rate. Benefits include disability access, common rooms and a wide range of services. 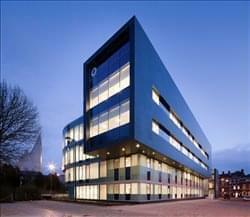 The centre also has access to specialist film-making facilities, making this an excellent choice for media companies. This site has a range of office suites of varying size available which would be suitable for up to 50 people. There are also many industrial units of approximately 1000 square foot available to rent. All space is provided on a serviced basis but terms can be flexible to suit your business needs. The site has monitored CCTV, 24-hour access and an on-site management team. Offices are open plan in style and offer effective work space either furnished or unfurnished. There is a manned reception area, kitchen, and cleaner. Also for use are rooms for meetings and training. WiFi is available along with printing and copying facilities. Hot desks are also available at this centre, along with virtual office options. 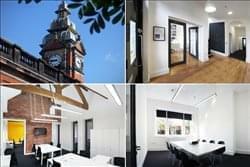 This business centre offers a a range of small to large workspaces and suites in Liverpool’s creative quarter the Baltic Triangle. The space prides itself on providing a creative and welcoming atmosphere that gives a vibrant community endless reasons to meet, learn, collaborate and grow. Here, amenities include; 24 hour access, flexible terms, furnished offices, meeting rooms, kitchen, lounge and support from an on-site management team. 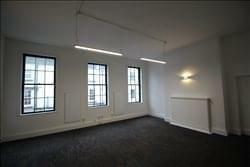 Stylish office spaces available either furnished or unfurnished. Whether you are looking for a place to do a couple of hours of work each day or to rent a dedicated private office for a team of people undertaking a project, this business centre is a great professional space which enables flexibility. The building benefits from a high speed (leased line) internet connection which can be accessed via the free WiFi. The co-working centre is fully air conditioned and has a large break out area with tea and coffee on tap along with kitchen facilities. There also sofas and a television to ensure that you can relax and enjoy the working environment. There is a large boardroom which can seat up to 30-people, along with a smaller meeting facility that can be booked as and when needed. The reception team are available to help during normal business hours and will meet and greet any visitors that you may have. They are also able to assist with printing, scanning and photocopying to ensure your time with us is as productive as possible. This business centre has a friendly business community and is accessible 24-hours per day. Other facilities include showers, on-site security and management. Home to over 40 companies, this centre is part of a collection of grade II listed buildings, fully renovated to provide superb, modern office spaces. There are 70 dedicated car parking spaces with CCTV coverage. All utility bills are included in the space. 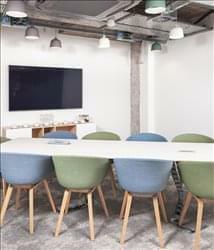 Meeting rooms are also available at the workspace: there are three and all are bookable through an online portal. Other amenities included; 24/7 access, superfast internet, kitchen, tea and coffee facilities, break out areas and a garden with picnic benches. This centre offer high quality modern finishes within a unique listed setting. The building has been fully refurbished to a high standard with all rooms benefiting from large sash windows, modern fixtures and fittings and new furniture. The individual offices can accommodate between two and 14 people with a total of 70 workstations available across the building. The rates are inclusive of super fast internet and there is the ability to install VoIP phone lines. Occupiers also benefit from free use of the meeting room and there is free car parking with a 70 space surface car park having been opened earlier in the year. Other amenities include modern communal kitchens, soft seating in the lobbies, shower facilities and an outdoor courtyard and gardens. 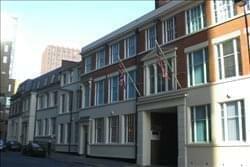 The property comprises a recently refurbished office accommodation over second and fourth floor levels. Each of the offices is open plan and approximately rectangular and is finished to a good standard incorporating category 2 VDU lighting, smooth plaster painted walls and central heating. Further fittings including, carpeting and blinds maybe provided subject to negotiations. There is a six-person passenger lift serving all floors. Interested parties are advised to make their own enquiries with the Local Authority for their verification purposes. The property is registered for VAT, which will be payable at the prescribed level. 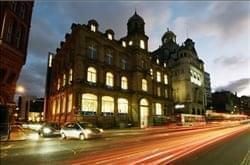 Housed in an impressive Grade II listed building, this centre is spread across five floors totalling 18,761sqft. The centre impressively combines historic elegance with modern office features suitable for the contemporary tenant. The open plan suites benefit from an abundance of natural light and boast attractive balconies that offer lovely views. Office suites starting from 934sqft can be tailored to fit tenant’s blueprints and fulfil any requirements needed. Other amenities include double glazing, CCTV, lift access, a fantastic onsite management team, reception services and suspended ceilings. Located within Liverpool’s thriving business district, this new centre is set to open in early 2019 and give those looking for either private workspace or co-working options a first class working environment. Spread across two floors and covering over 23,000sqft the centre offers a number of working options as well as access to its other Liverpool-based sister centre. Private offices range from 2-person spaces up to 12-person spaces. The centre has both a café and bar opening soon, as well as a fantastic event space, presentation suite and dedicated meeting rooms. Other amenities include break out areas, kitchenette facilities, super-fast internet and printing facilities. Freelance and tired of working from home? Feeling disconnected from the latest trends and learning nothing new? Perhaps you’re a business owner drowning in overheads – rent, rates, service charges, utilities? Become a co-working superhero at this superior business centre. Co working memberships from £125 per month and dedicated desks from £175 per month. More than a co-working space, this centre is a collaborative, networked and crucially a connected community. The centre is always looking to connect its members with its own connections, contacts, partners and suppliers to help your business truly grow. 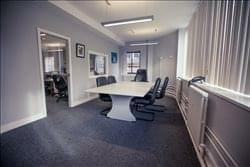 As well as a co-working building, this business centre has excellent private office space to rent. Home to over 20 creative, media, design and digital businesses, this centre is a fully renovated factory building in the heart of Liverpool’s creative quarter. The building comprises a mix of studio spaces & serviced offices of varying sizes. Each studio has free superfast internet: a 300 MBPS symmetrical upload and download speeds. Electricity, heating and water are also included in the rates, as is the use of a 10 person meeting room, 24 hour access and CCTV. The serviced offices are unfurnished and there is a fantastic coffee shop located within the building. First floor offices offer a series of open roof offices that can accommodate between 6-12 People. Ground floor offices have exposed brickwork, polished concrete floors and there is a 12 person co-working space catering for 1-2 person desk space rentals. This centre has been nominated for an RIBA architecture award and 2 RICS awards for regeneration and best commercial development. This centre offers a variety of high specification, modern serviced offices set within a listed estate setting. All offices are newly refurbished to a high standard with large windows, grand floor to ceiling heights, modern fixtures and fittings and new furniture. The individual offices range from 2 – 6 person with a maximum 42 workstations per building. All benefit from free Super fast Internet and there is the added option of VoIP phone lines. There is 24 hour access to the buildings and all customers benefit from free parking. Other amenities include free meeting room use, a modern communal kitchen, shower facilities, cycle storage and an outdoor courtyard with seating. Born out of the global culture-shift in working style, this workspace believes that through collaboration and support, individuals, businesses and cities can thrive. This centre is much more than just workspace; it’s about community and opportunity. The spaces are designed to provide an inspiring home with flexibility and openness for businesses of any size and sector. This centre aims to offer the best possible facilities, culture and support for any ambitious organisation. This is the ideal location to bring great ideas to life. Situated at the heart of Liverpool’s Knowledge Quarter, a short hop from Liverpool’s rail and motorway networks, the Park and its facilities have been purpose-built to provide exceptional space and connectivity for science, tech and knowledge-focused companies. With options available to suit everyone; from start-ups to blue-chips, the space is home to an incredible community of innovators, creators, pioneers and ground-breakers in science, technology and knowledge fields. The community includes some of the region’s finest companies working in areas such as; Science & Bio-Medical, Technology, Digital & Creative, Advanced Mathematics, Engineering and Professional Services which complement these industries. This business centre located in the heart of Liverpool, offers a range of suite sizes and self-contained accommodation to allow your business to grow. The perfect office environment in a unique historic setting has the benefit of 24-hour access. Here, you can choose from furnished or unfurnished offices. This space is fully adapted to cater for the varying challenges of the modern-day business with a on site management team on hand to answer any queries. Based in Liverpool and opening in February, this brand new centre promises to be an exciting proposition for any business looking for private offices or coworking space in the city. Designed to the highest specification, the centre offers a number of flexible memberships for tenants, thus offering solutions for anyone whether you are looking for hot desking or a more permanent fixture. All tenants will benefit from the first-class environment, with meeting rooms, breakout areas, a spacious roof terrace and ultra-quick WiFi. Other amenities include a range of conference facilities, 24 hour access, air conditioning and kitchen facilities. This fantastic building recently refurbished and modernised offers high speed internet connection, high tech infrared heating systems, CAT LG7 lighting, secure intercom and 24 hour access. Also included is free use of a meeting room, kitchen and business support. The space is located in a fantastic area of Liverpool offering many amenities all within walking distance. 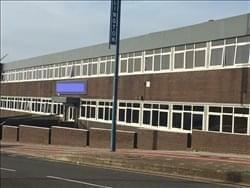 This centre provides the best refurbished office accommodation in central Widnes. The accommodation is mainly arranged at first floor level (9,937 sq. ft.) together with a small second floor area (950 sq. ft.). Entered through double doors from Victoria Square, access to the first floor is achieved via a stylish stainless steel and timber staircase or by a six person passenger lift. At the first floor there is a reception area and the offices beyond are divided into 12 cellular rooms ranging from 115 to 2,875 sq. ft. The accommodation is carpeted, the ceilings suspended, acoustic tile incorporating integral fluorescent. Handling and a gas-fired hot water radiator provides heating. The individual offices have not yet been assessed for rating purpose. As a guide only it is suggested that the assessment is likely to be based on £70 p/ sq m, with payable business rates at approximately half the rateable value. Rooms with a rateable value of less then £2,600 will be exempt of the payment of business rates, and rooms with rateable values of less than £6,000 may be eligible for 100% relief of payment under the Small Business Rates Relief Scheme. Some relief is also available for rooms where the rateable value is less then £12,000. 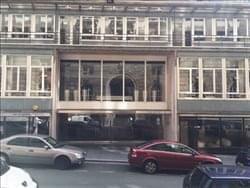 The property is available by way of a new internal repairing and insuring lease for a term of years to be agreed. This impressive and modern open-plan business centre boasts a location in the heart of thriving Liverpool. It offers dedicated shared workspace with all you need to work comfortably or collaboratively. Facilities like high-speed Wi-Fi, meeting rooms for convenience and under-floor heating set this space apart. There are great opportunities to network, smart interiors to impress and an on-site bar. To obtain information for your selected Merseyside Business Centres, please tick the "Add to basket" box for each office you prefer and complete the form below. We will then send a detailed report via email.